Clive Mettrick worked obtained his first college degree, a Bachelor of Business Administration, from the Rochester Institute of Technology by working full-time as a Machine Tool Technician in a factory and attending night school. 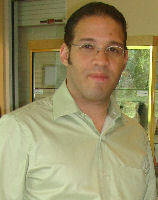 He then obtained his MBA from the University of Rochester, majoring in Marketing and Computer Information Systems. He honed his market research skills at Coca-Cola Foods (Minute Maid), Chase Bank of Texas, and Microsoft before he founded The Business Research Lab (owners of Employeesurveys.com). Clive lives in Houston, Texas most of the year and retreats with his wife, Kris, and three cats, Opus, Gracie, and Rusty, to Cambria California to escape the summer heat. In his spare time, Clive enjoys reading, hiking, running, swing dancing, listening to blues music and classic rock, making home improvements, and traveling. Dr. Donald Payne is The Business Research Lab’s Secretary-Treasurer and Research Director. He joined BRL after having served as Associate Research Director at Marplan, and later Executive Vice President of Oxtoby-Smith, Inc. He earned his Ph.D. at Ohio State University, has published articles on consumer psychology, and testified as an expert witness before federal courts and administrative agencies. When not engaged in BRL duties, he enjoys crossword puzzles, dining out, and skiing Vermont’s gentler slopes. Gregg Campa is Director of Client Relations for The Business Research Lab. He has over 30 years of client side experience, and has managed hundreds of survey projects and market research studies for The Business Research Lab. He began his career as Regional Operations Manager with Associated Club Management, and later, as an Operational Management Consultant with Diamondback Consultants. He holds an MBA from the University of Texas at San Antonio, with majors in Management and Corporate Finance and is a member of The Human Resource Management Association. He is the father of a beautiful little girl, Skylar, who keeps him very busy with extracurricular activities like dance, piano and swim lessons. In what little spare time he has left, he likes to play tennis, ride motorcycles, and work on old houses. Chris Aybar has over fifteen years of experience in the information technology industry. He began his career developing web applications at Kingsley Research, and later at Kestrel Technologies where he harnessed enterprise-level skills through the design and support of 24×7 mission-critical application systems. Chris has also been involved in the health insurance industry developing electronic quoting and application systems as well as a varying array of agent and insurance policy management tools. He attended Brooklyn College of the City University of New York in pursuit of a B.A. in Computer Information Science.